New Matte Finish Sticky Labels fit on Guest Size soaps and are for the "do it yourself" reseller or hotel. The labels will include the soap type (usually in color) and ingredients list only. They do not have our "adams..." name brand on them or other info, rather basic info so a reseller could easily add their own information to the product once it arrives. 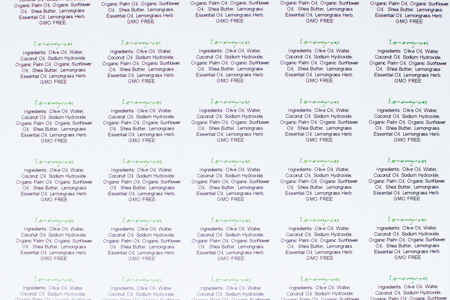 Sticky labels could possibly be used for other applications also, whenever only the ingredients/soap type are needed.